Many homeowners have them, but don’t always know much about them. 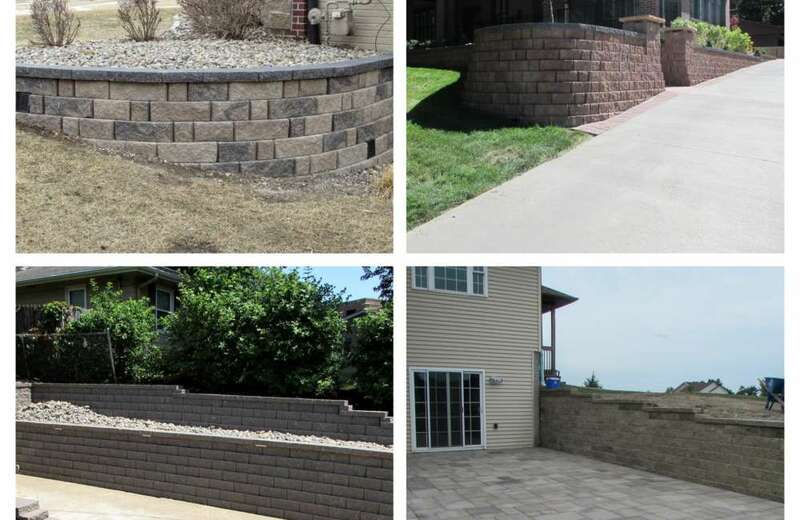 Capital Landscaping wants to provide you with the information you need to know about retaining walls so you can ensure that your landscape is structurally secure – and if you need help, give you an idea of what can be done. Leaning – the entire wall or a portion of it is leaning over, usually outwards. Material Damage – rotting timbers, cracking concrete, etc. All these issues are structural (except rotting timbers). They require either a section of the wall be redone, or that the entire wall be rebuilt or replaced. Sometimes, the issues is the result of faulty construction like the base being mislaid or missing drainage. Other times, the improper material was used. Different sizes of block are appropriate for different sized walls, and a wall designed and built structurally well out of the wrong size of block (block that is too small/not heavy enough) will eventually succumb to pressure from the earth that it’s holding back. Other times, a change in the grade or drainage in a neighboring yard could be causing drainage to build behind your wall and create more pressure pushing on it than it’s capable of holding. And sometimes, nature gets the best of a wall and its ability to hold back grade. Flash flooding can wipe out a wall that was meant to hold back only so much dirt and pressure and not designed to hold back large amounts of water all at once. Trees can also cause issues as they grow behind a wall and their roots create more pressure behind the block. Whatever the issue with your retaining wall, it’s best to have a landscape or construction expert come take a look to confirm your suspicions or identify the main cause of your retaining walls structural changes. If you live in a place with snow like Iowa, it’s a good idea to take a look at your wall each spring as frost and snow melt and the ground has a chance of shifting and affecting your wall. Of if you have any flash flooding in your area, that is also a good time to check your wall for any changes due to excessive amounts of water building up behind or flowing down or through the wall. 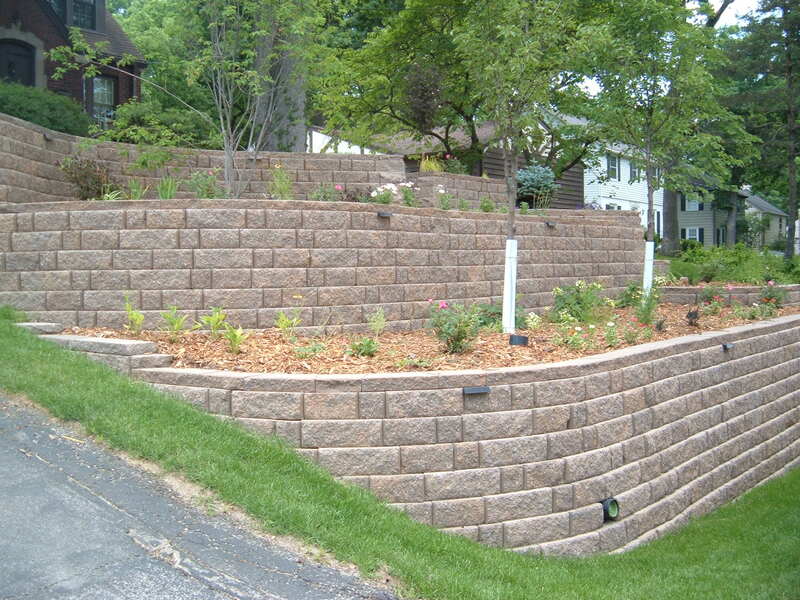 Retaining walls first provide a function, and secondly are decorative adding to the aesthetic value of your property. Different material options come in different price ranges, so the first thing to do is talk about material options that will work best to ensure you have a stable wall that lasts a long time. Overall, the tougher the materials the longer the life of the wall. Timber walls will last 20 years or more depending on their construction, the climate, and quality of the timbers. The only downside is that as organic materials, they eventually do wear down and rot due to nature. Harder materials such as concrete block and boulders, will last as long as their construction is good and the ground or drainage doesn’t change too much. Boulders and block come in different sizes that allow them to be used in both large and small wall projects. As was mentioned earlier, many issues can affect a wall’s stability, but a well-built wall can be expected to last, and you shouldn’t worry too much so long as your landscaper or construction company makes sure to build the wall right. If the wall is going to be over 4-5ft tall, make sure they’ve had an engineer take a lot to make sure that the wall is designed correctly to hold back the grade. If you know what function you need the wall to serve and can expect it to last, then it’s time to choose a material and style. Timber walls look great in wooded areas and next to timber houses. 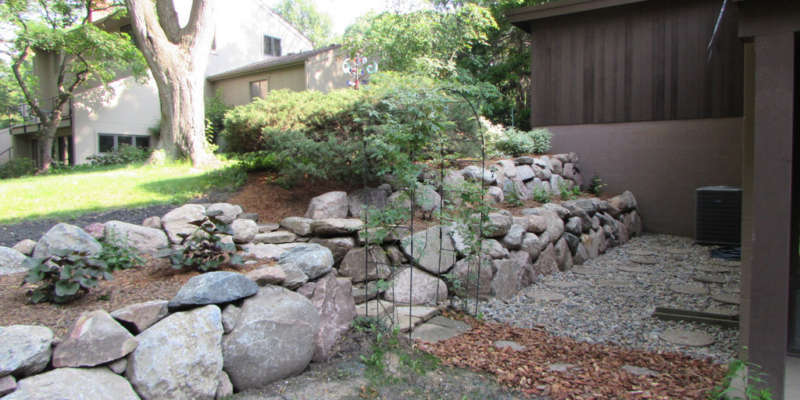 Boulder walls also look great for a more natural look in your landscape, and can be decorated with creeping plants and phlox in the spaces between boulders. Poured concrete walls can fit well in an urban setting and are a cheap and quick way to get a wall where needed. Limestone walls are another option for heavy durable material that still has a natural look and fits in well in many landscapes, especially with limestone edging or other limestone features. 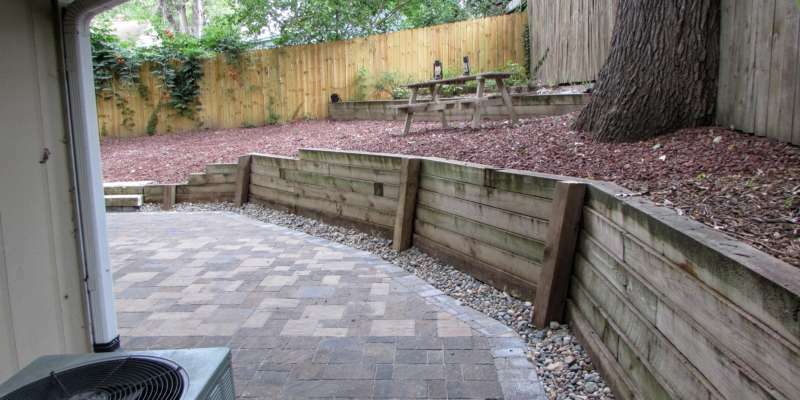 One of our favorite options here at Capital Landscaping is concrete block. Block comes in a variety of shapes, sizes, and colors to fit your unique design look. They can be simple rough block in grey or tan, or speckled with colors throughout. They can also have a smoother facade in lighter tones and colors reminiscent of limestone. Block walls also give you the option to mix and match colors, if you want your wall to be made out of two or three different shades or blends. Or if you want different colored caps than the block itself. When considering block, especially for larger project more than a foot or two in height, it’s important to make sure the block is of good quality and size appropriate for the job. Concrete block found at home improvement stores is often times smaller and not as durable as block that landscapers and construction companies use from wholesalers in the industry. Skimping on block when doing a large project can lead to disaster down the road as inferior and lighter block may not withstand the pressure of the grade and water behind them for very long. 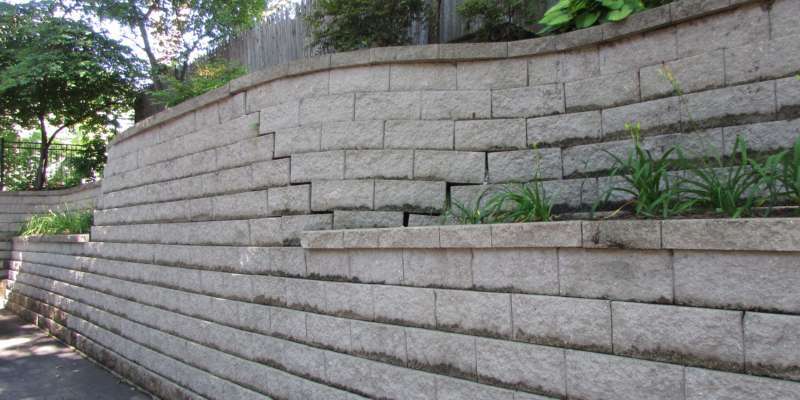 If you have a retaining wall, check on it in the spring and after heavy rains. Keeping an eye out for issues that develop early on gives you more time to come up with a replacement plan and budget if the project is going to be large. Always consider what material will serve the function you need to hold back grade behind your wall, and consider what aesthetic you want for your wall and how it will fit in with the rest of your landscape or home. And if you’re ever confused or have questions, contact a professional. We at Capital Landscaping would be more than happy to help if you are in the Greater Des Moines Area. Just give us a call or contact us online! It sure was nice to know that timber walls have the ability to last for 20 years depending on the quality of the timbers. My husband and I are interested in installing retaining walls. We want to save money on repairs and replacements, so we’ll make sure to find the best quality of treated landscape timber. Thanks! Call us at 515-244-2724 or email us to start your project! Copyright © Capital Landscaping. All Rights Reserved.